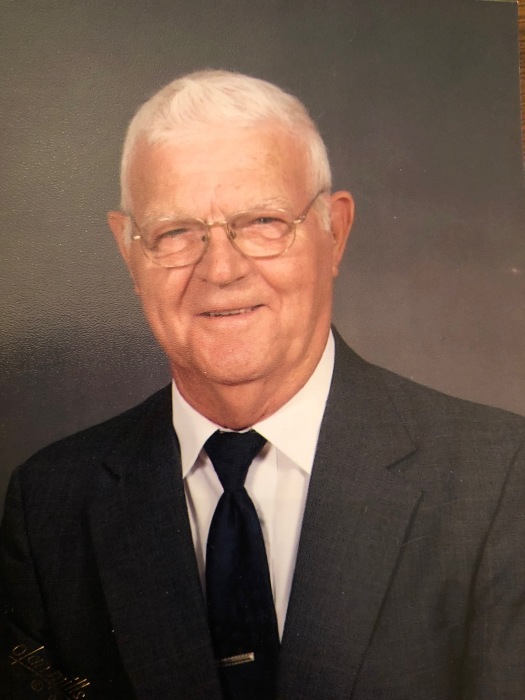 Donald Frank Becher, 83, passed away at 1:37 pm November 25, 2018 at his home. He was born November 30, 1934, the son of Herb and Frances (Meyer) Becher. He married Mary (Sinclair) Becher on October 29, 1960. Donald worked for Vincennes Steel for 41 years, retiring as a yard foreman in 1999. He was an avid fan of St. Louis Cardinals baseball team. He enjoyed and took pride in working in his garden. He also enjoyed playing cards, especially Euchre and Sheep Head. Donald received the Simon Brute Award in 2012. He proudly served in the United States Army, and stood watch at the Berlin Wall. He was a 3rd Degree member of Knights of Columbus, and a past member of the VFW and American Legion. Donald is survived by his wife, Mary Becher of Vincennes; sons, Gordon Louis (Jennifer) Becher and Kevin Paul Becher; grandchildren, Donald Becher, Andrew Becher, Kyle Becher and Carlee Becher; great-granddaughter, Cruz Becher; brother, Bill Becher; sisters, Germaine Graman, Judy Doyle, Rebecca Price and Nancy Lasher. He was preceded in death by his parents; brothers, Lee Louis and Frank Becher; and sister, Virlee (Becher) McMahan. A Mass of Christian Burial will be held on Thursday, November 29, 2018 at 10:00 AM at St. John the Baptist Catholic Church with Rev. Donald Ackerman officiating. Visitation will be held on Wednesday, November 28, 2018 from 4:00 PM to 8:00 PM at Fredrick and Son McClure-Utt Funeral Home Vincennes Chapel, 313 Church St. Online condolences may be made at www.fredrickandson.com.